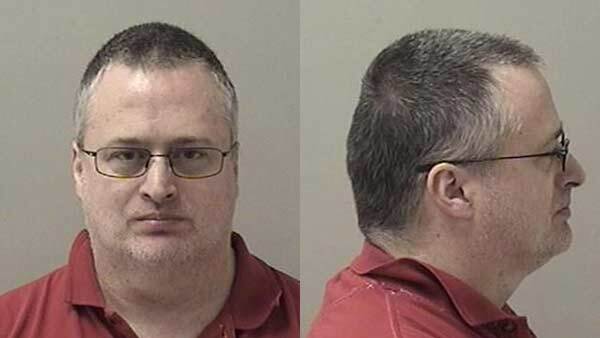 ELBURN, IL -- A Campton Hills man is charged with sexually assaulting a child over a 10-year period. David L. Wright, 53, of the 43W block of McDonald Road in Campton Hills, is charged with 10 counts of predatory criminal sexual assault, and 11 counts of criminal sexual assault. According to the charging documents, between March 2005 and April 2015, Wright repeatedly sexually assaulted a child he knew. The victim was younger than 13 years old when the assaults began. Wright was taken into custody late Monday morning at his Campton Hills home. He is being held at the Kane County jail. According to the Elburn Police Department, Wright has been an Elburn officer since 1991. He has been placed on paid administrative leave pending the outcome of this investigation. Anyone with additional information about this case should contact their local police department.